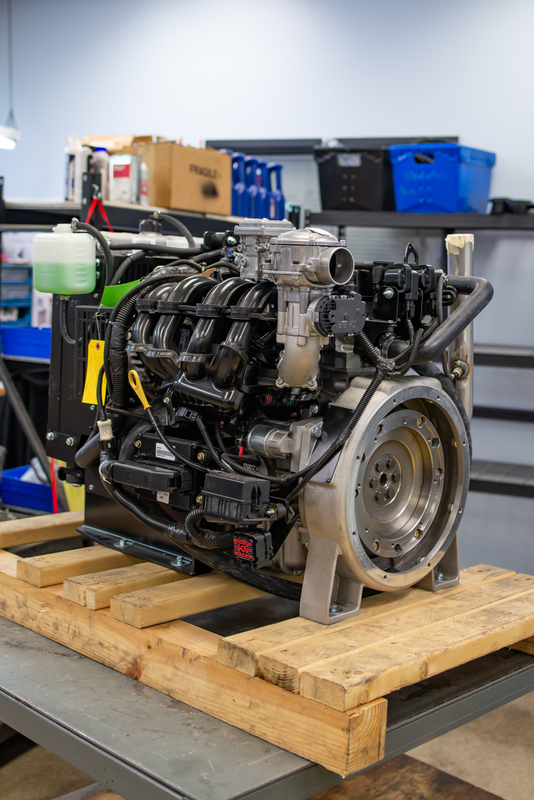 Crosspoint Power & Refrigeration offers a variety of Ford Industrial Engines serving a wide range of industrial applications. Our product offering includes engines from 1.5L to 6.8L. With multiple fueling options, including dual fuel, Ford Industrial Engines offer flexibility in your industrial application, all backed by a name you can trust! These reliable engines can be customized to your application and fueling requirements. Designed to operate on Gasoline, LPG, LP Vapor, Natural Gas and CNG, our application engineers will work with you from concept through production to meet your application needs. TSG415 1.5L Inline 4 Cylinder 3600 49 HP, 72 ft-lbs. Torque 192 Lbs. L 23.8" x W 23.4" x H 26.8"
MSG425 2.5L Inline 4 Cylinder 3200 75 HP, 123 ft-lbs. Torque 351 Lbs. L 30.3" x W 23.3" x H 32.6"
CSG637 3.7L V6 3200 96 HP, 173 ft-lbs. Torque 355 Lbs. L 25.4" x W 29.5" x H 29.4"
RSG862 6.2L V8 - - 589 Lbs. L 26.8" x W 31.1" x H 34.3"
WSG1069 6.8L V10 3200 201 HP, 324 ft-lbs. Torque 640 Lbs. H 30.4" x L 28.5" x W 31.7"
Interested in Ford Industrial Engines?